Father Peter C. Brien died at Mission St. Teresa’s on November 18, 2016. He was 82 years old and a Maryknoll priest for 56 years. Peter Clement Brien, son of Arthur and Marie Clement Brien, and an identical twin of Maryknoller, Father Paul J. Brien, was born in Escanaba, Michigan, on September 4, 1933. Upon completing his elementary education at St. Joseph’s School in Escanaba, he entered Salvatorian Seminary in St. Nazianz, Wisconsin. After two years of college at Salvatorian, he entered Maryknoll in September 1953 and was ordained at Maryknoll, New York on June 11, 1960. Father Brien was assigned to the Taiwan Region and after language courses began work in the Taichung Diocese in Tachin. In 1967 he was named pastor of the Luna Parish among the Bunun aborigine tribe. He remained in this work until July 1970 when he was assigned to the Development Department and began work in the Philadelphia House, remaining there until his appointment as Director of the Minneapolis, Minnesota, Development House in 1973. 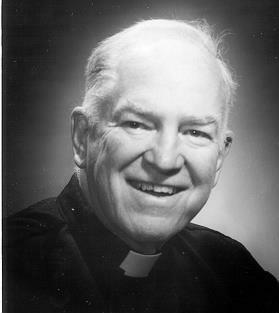 In 1976, Father Brien was appointed to the Executive Board of the Development Department, which reviewed evaluated and modified the policies and practices of the Department. Father Brien was appointed Local Superior for the Society in the Chicago area as of July 1, 1978. During his time in Chicago, Father Brien worked at St. Theresa’s parish in the Chinatown section of Chicago. After extending his Development Department assignment to the end of 1982 and taking a sabbatical, he was reassigned to Taiwan in October 1983. Father Brien returned to his work in the Taichung diocese and in October 1991 was appointed Assistant Regional Superior of the Taiwan Region. In July 1996 he was again assigned to the Development Department and work in the Chicago area. In November, 1999 he was assigned to the Washington DC Development House. In September 2002 Father Brien came back to his first assignment to Taiwan, and as of October 1, 2003, he was elected Regional Superior of the Taiwan Region and as Taiwan Local Group Superior. He served as pastor of St. Joseph Church, Dajya, in Taichung County, not far from the ocean. In May 2007, Father Brien was re-appointed Taiwan Local Group Superior. In April 2013, Fr. Brien entered the Senior Missioner Community and took up residence in Mission St. Teresa’s. Father Brien considered landing in Taiwan in September 1960 and the celebration of Mass in a local language and unique style of singing the fulfillment of a dream. A Rosary and wake service was held at 4:00 p.m. on November 28, 2016 at Mission St. Teresa’s. The body was received at the Maryknoll Society Center at 9:30 a.m. on November 29, 2016. Father Brien’s family received condolences and prayers until 10:45 a.m. in the Lady Chapel. The biography was read by Fr. Robert F. Crawford. Mass of Christian Burial followed at 11:00 a.m. and was concelebrated in Queen of Apostles Chapel. Father Paul J. Duffy was Principal Celebrant and homilist. Burial followed in Maryknoll Society Cemetery.